Indy Hothi CA is the winner of the ICAS One Young CA competition. He will be an ambassador for ICAS at the One Young World Summit in Bangkok from 18-21 November. 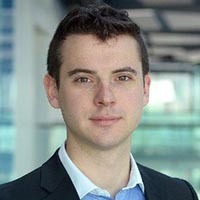 Indy is senior economic and strategy consultant at EY and a trustee of Khalsa Aid. The winner of the ICAS One Young CA 2015 competition is Inderveer 'Indy' Hothi CA. 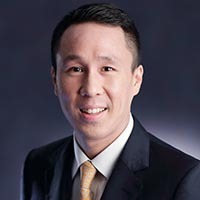 Indy, a senior economic and strategy consultant with EY, was judged to be the strongest candidate for the role in an exceptionally high quality field of 33 entrants. ICAS Chief Executive Anton Colella presented the award to Indy last night at the prestigious CA Dinner at The Savoy in London. Indy's high profile work with international disaster relief charity Khalsa Aid and his positive efforts to strengthen links between ethnic minorities and the business world made him a clear winner. As the winner of One Young CA, Indy will become an 'ambassador' for ICAS in the UK and globally, starting with the One Young World Summit in Bangkok on 18-21 November. This international conference brings together inspiring young people who are committed to making a difference. A delighted Indy said: "The conference is a chance to meet some very established and influential business leaders from around the world. I'm also really looking forward to meeting other young like-minded people who have accomplished great things, and looking for opportunities to work together to, as clichéd as it may sound, make the world a better place." Anton said: "Indy is a great example of the values that ICAS stands for. He will be a worthy representative at the One Young World conference in Bangkok." 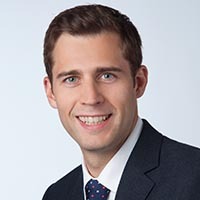 Indy completed his CA training with EY in London, and now works for the firm as a senior economic and strategy consultant. He has established a number of key diversity initiatives, including running successful Graduate Insight Days at EY for black and ethnic minority students. 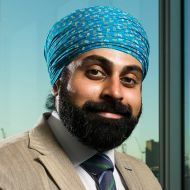 He has also founded a Sikh network as part of EY's Interfaith Working Group. Thanks to Indy's passion and drive this has grown to become one of the biggest Sikh professional networks in the UK. Indy is also trustee of Khalsa Aid, an independent relief organisation set up to help people in need around the world. As well as advising the charity on strategy and finance, Indy has spent time on the front line co-ordinating relief efforts for refugees in Haiti, Bosnia, Serbia and Nepal. Launched this year, the One Young CA competition gives a CA under 30 the chance to share their experiences and ideas among the ICAS membership, and the wider profession, on a global stage. It is awarded to someone who can truly lead, motivate and inspire the next generation of CAs. Atholl Duncan, ICAS Executive Director (UK and Global), said: "CAs have always had global influence in the history of ICAS. One Young World is a tremendous opportunity for 'One Young CA' to make their mark on a global stage and to represent our entire membership at this influential event. The quality of entries we received from the One Young CA competition highlighted the remarkable achievements of so many young CAs in their careers so far and is truly inspirational". Prior to embarking on her CA training contract with EY, Natalie lived in Swaziland for seven months working with social enterprises established to support orphans. Whilst at EY she sought out opportunities to further develop herself, her career and her interest in microfinance, impact investing and social entrepreneurship. This culminated in participating in a project in Uganda, through a programme at EY called Enterprise Growth Services, for six months, working in collaboration with rural veterinarians and the Ugandan Government providing practical advice to optimise the veterinary business and utilise them as a tool to combat African Sleeping Sickness in the area. Natalie is currently working together with peers to establish an NGO called Youth Employment Strategies with the vision to inspire youth in Africa to establish businesses primarily in the agriculture sector. 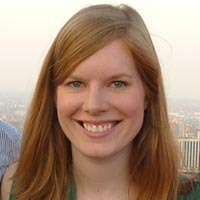 Natalie is also a mentor for the ICAS Foundation mentoring programme. "I am passionate about using finance for social good and using business as a tool to alleviate poverty. I hope that my work with social enterprises inspires other CAs and highlights the breadth of scope of work that the CA qualification allows you to get involved with. I hope that I am inspiring others by engaging with topical issues and making sure CAs have a voice and offer their skills to combat global financial inequality and promote social entrepreneurship". Suzy became Chief Financial Officer of Clear Books plc at just 26. Her role involves everything finance-related, including bookkeeping, preparing financial accounts for audit, monitoring KPIs and managing budgets. Suzy also trains new customers on using the company's software and has translated the software into Spanish and Portuguese. Suzy's strong leadership skills have been evident throughout her career as she was the first person from Baker Tilly UK Audit LLP to go on secondment to Latin America. In 2015 she was selected as one of the youngest qualified accountants to be listed in the Financial Director magazine's annual 35 under 35. Outside of work, Suzy is a keen sportswoman and fundraiser. 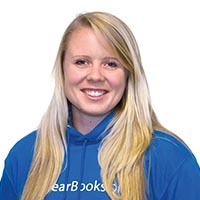 Earlier this year she completed the ITU World Triathlon Series Olympic distance triathlon in London and the London Marathon, which she ran for the charity Cardiac Risk in the Young raising £18,759 through multiple fundraising events. "I really enjoy helping people and my CA qualification has enabled me to do this. It is so rewarding to see how much our customers appreciate me showing them how to do their own bookkeeping and helping them to understand their finances better. Being a CA gave me the opportunity to go on the international secondment to Argentina, which is undoubtedly one of the most beneficial things I have ever done for me personally and my career progression". For the past two years, Vicki has worked for the international development organisation Mercy Corps, which saves and improves lives in the world's toughest places, overseeing the financial management of projects in East and Southern Africa. During this time she has completed trips to DR Congo, Kenya, Uganda, Tunisia and Ethiopia, supporting field teams in grant management and performing training in compliance, accounting and donor regulations. Vicki was recently chosen to represent Mercy Corps Europe at the Entrepreneurial Leadership Programme in Uganda, which involved working with colleagues from 26 other countries in the areas of Entrepreneurship, Strategy, Finance and Leadership. Outside of work, Vicki is involved in selling hand-crafted fabric products by a Senegalese Women's Cooperative, 'Groupement Takku Liggey', and also enjoys painting, inspired by the places she has visited. "I would like to help inform the next generation of CAs of the incredibly valuable and rewarding opportunities available to them outside of the private sector. I would also encourage all individuals and accountancy bodies to recognise the responsibility our profession has in addressing social problems, through further integration of stakeholder value principles and emphasis on socially responsible business. The CA qualification has been important for my current role, through which I have met many inspiring people, who have changed my outlook in life, and given me the motivation to push for social progress." Coming from a small town in Pakistan, Adil had never imagined he would become a chartered accountant one day. Through hard work and determination, Adil secured a graduate position with EY in the UK directly from Pakistan, before his graduation. Adil currently works at a senior level reporting to the Head of Accounting and Tax in a global energy group. Adil co-founded and operates a Facebook group called the 'Complete guide to landing a job in the UK Big 4 accounting firms.' This supports people around the world who are interested in becoming a chartered accountant in the UK. UK. "I try to inspire young people through my own life story which is that if a person like me who belonged to a developing nation with financial limitations can become a successful professional, then anyone can do it. I want more people to become chartered accountants because it's not only financially rewarding, but it's an amazing field with endless opportunities. Each year I try to go back to my old school in Pakistan in order to encourage young students to become chartered accountants and address any misconceptions they have about the profession. Seeing the sparkle in my father's eyes every time he tells someone his son is chartered accountant makes it all worth it". 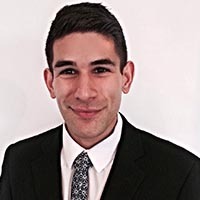 During Daniel's training contract at BDO, he developed a keen interest in the development of others and after tutoring on several of the firm's courses accepted a secondment to the firm's technical team where he was involved in the development and delivery of all trainee training. After qualifying, Daniel moved to the NHS regulator and spent a year and a half regulating challenging areas of the NHS. Daniel has now moved back to BDO to take on responsibility for the entire trainee training programme. Outside of work, Daniel is a fitness instructor and teaches fitness classes throughout London. "I believe the next generation of CAs should learn from the experience of well-established accountants. I believe I am helping to bridge the gap between the experience and vision of our partners and the inexperience and fresh ideas of our students. I have a genuine passion for teaching and when I see students take away skills from my courses and then feedback that it has made their lives easier and their work better, it inspires me to continue". In his role as Senior Manager at EY in Bristol, Dave has been heavily involved in growing the Bristol based South West financial services practice over the last 12 months. In addition to building client relationships and winning new business, he has been instrumental in supporting global recruitment at EY Bristol at all levels from graduate to manager. Dave also provides informal and formal mentoring support to CA students and newly qualified accountants to help them to achieve their career goals. He has always had a passion for charity work and previously led an EY team in the Prince's Trust 'Million Maker' challenge, which raised £23,000 for the charity. I believe it's important to set challenging goals and targets. It's only by putting yourself out of your comfort zone and doing the things you know need development, or the things that don't come naturally, that you make most progress. Being a CA gives so many opportunities to do this". 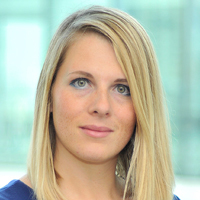 Carly followed the KPMG school leaver programme to train to become a CA. In her current role as Tax Manager, she is responsible for providing large corporations with accurate tax advice to ensure they pay the right amount of tax. She continually seeks opportunities to develop herself and others, and is a role model for those who choose to enter the profession through an alternative to the graduate route. Outside of work, Carly regularly volunteers to help local schools in providing their students with careers advice and helping to promote the CA qualification. "Being a CA is very important to me. I am committed to broadening my knowledge and my ability to add value to my clients, and this sets a great example to junior team members that learning and development doesn't stop once you have passed your professional exams – it's just the start!" Jennifer was the first student to complete the ICAS ITP qualification immediately after completing her CA qualification achieving first time passes in all. Jennifer joined Mazars 18 months ago and has been instrumental in growing the corporate tax team in the Edinburgh office from scratch. Her keen focus on business development has led her to work with the firm's marketing team to develop the Mazars' Women's Network, which has run three over-subscribed events. "Throughout my career as a CA, I've always endeavoured to participate in new ventures and events outside of my core remit. I recently took on the responsibility of rolling out a new ancillary service to our clients. This enabled me to complement my project management skills that will benefit me going forward. I try to encourage the next generation of CAs to take the same approach and volunteer themselves for projects that will enhance their existing skills sets. Having recognised the benefits of the CA qualification I went on to further my education by completing the ICAS Tax Professional (ITP) qualification. This has provided me with expert knowledge on all aspects of tax". As a leader and role model within the EY Edinburgh office, Kyle is passionate about developing people and has committed his time to ensure he can make a positive and lasting impression on those he works with. He is a counsellor to graduates just completing the first year of their training contract and has facilitated a number of training courses over the last few years. Kyle's leadership within the office has been recognised as he has recently been promoted to Manager and is the first in his peer group to achieve this milestone so quickly after having qualified. "I am extremely proud to be a CA. I believe I demonstrate the qualities of an effective leader in my role as audit manager at EY, both in my daily job, but also through my commitment to facilitating internal training courses, something which I volunteer to do over and above my client commitments. I always go the extra mile when providing coaching, feedback and support to others". In addition to Laura's day job as Tax Manager at EY, Laura is joint manager for EY's Connecting Emerging Leaders (CEL) Programme which provides high potential individuals from various industries with Aberdeen with the opportunity to develop their leadership skills, learn how to manage their work/life balance, discuss industry issues and receive guidance from current business leaders. Laura regularly leads these sessions presenting to up to 80 attendees. 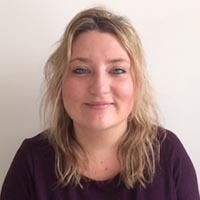 Laura also demonstrates her coaching skills within the office where she invests a significant amount of time developing and inspiring younger team members. 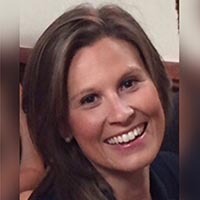 As a member of the local ICAS committee, Laura assists in organising local events and has brought fresh ideas to boost and encourage engagement with the younger ICAS community. "I hope my involvement with the local ICAS area committee will inspire the next generation of CAs. I look forward to developing new ways for ICAS to engage with newly qualified CAs as I believe that building the link with younger CAs to help them influence and shape ICAS is vital. The skills I developed during my CA studies have been exceptionally useful in my involvement in EY's Entrepreneur of the Year Programme. I have met entrepreneurs from all walks of life, from egg farmers to property developers. The practical application of business awareness developed through ICAS enabled me to participate in a number of interviews for the programme. Hearing their stories is truly inspiring and encourages me to tackle obstacles in my career with a positive and determined mind frame". Currently working with KPMG in Glasgow, Morris is dedicated to maintaining standards of excellence at all times in order to inspire those around him to do the same. Morris regularly shares his thoughts and ideas with a number of start-ups and small businesses, as it's important to him to fulfil his role as a business advisor. "I believe the key benefit of the CA qualification is the wealth of opportunities and experiences it provides, and sharing these experiences with the next generation of CAs gives them genuine excitement about their future opportunities". 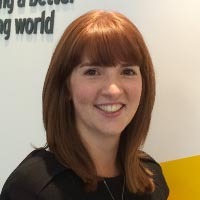 In Catherine's role as Senior Manager within Banking and Capital Markets Assurance at EY in London, she is responsible for bringing together trainee and qualified CAs and nurturing them in order to produce high performing teams. Catherine regularly seeks opportunities outside of her core job description; she recently worked on a competitive audit tender which involved presenting key sections of the proposal to the client Audit Committee. She also devotes a lot of time to the firm's internal quality agenda which is an extremely important area to the firm's growth strategy. Catherine has experienced accelerated development at EY. "My enthusiasm for my role, my clients, and the work I do continues beyond my working day. I actively mentor individuals coming through the business and openly and honestly discuss my own experiences with them. Later this year I am making a change in my career and am moving to Which? Consumer Association to take on the role of Head of Group Risk which will put my skillset to good use in a new environment". After completing his training contract, Christopher was interested in working abroad and took an overseas assignment with an oilfield services company in Malaysia. Over the three years that he was based in the ASEAN Economic Community he managed to travel a lot of Asia. 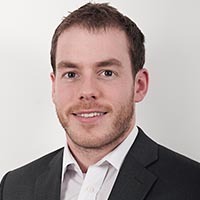 In 2014, Christopher moved to Zurich to work for an engineering company as group public reporting manager. Outside of work he has recently become a treasurer for a health care charity. "I think that hard work can take you wherever you want to go. Sometimes you experience a setback, but this is part of life. You can't always win, but the more you try, the better you get at it. After completing my CA training contract with Johnston Carmichael I wanted to join a multinational company and work abroad. Since then, I have had the opportunity to work in Malaysia, Germany and now in Switzerland. Each step of the way has been very rewarding both socially and for my career." 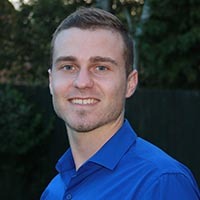 Joel has demonstrated his entrepreneurial flair using the skills he developed during his CA training and applying it to the first business he purchased and made successful, the French Fish Export Company, now known as Jack Taylor. Joel has used this as a platform to build his portfolio of companies, becoming owner and director of VISTEM Limited, a company focused on safety and efficiency of operations in the oil industry. "I set up Jack Taylor, a fish processing company, with my business partner at the age of 24. Following this, we have set up VISTEM Limited. I would encourage the next generation of CAs that it's not always necessary to wait until you've been working for ten years before you start up your own business. As a CA, you actually have all the core skills required". As Head of Finance, Laura has had a number of key achievements including delivering a core IT platform change and delivering a fully art worked and audited accounts within two months of year end. 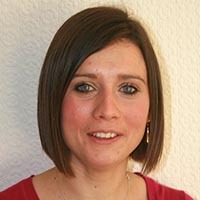 Laura is also Director of Sparrowhawk Leisure Limited, an outdoor adventure company she and her husband started in 2012. Dedicating time to teaching people new things is important to Laura, and as a volunteer for the website Mathnerds, Laura supports people struggling with specific maths problems. Recently Laura has obtained her practicing certificate so she can help others in their new businesses. "My CA qualification has given me the skills and confidence I need to support my husband in running his business. I'm able to help family and friends who are struggling with their tax or self-assessments. My career is extremely rewarding and I love the work I do. I know I could also choose to have children and run my own practice from home at any time, provide consultancy services or go into teaching…the list is endless". Rebecca demonstrates that it's possible to excel in both sport and academics. 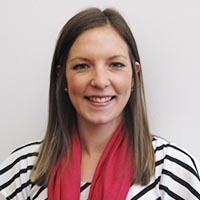 In her current role in EY, Rebecca has sought responsibility for hosting and facilitating training courses for first year peer groups and has undertaken coaching of colleagues from both Edinburgh and other EY offices in addition to her audit responsibilities. In 2014 Rebecca was selected as one of 12 EY Ryder Cup Champions from across the EMEIA region. 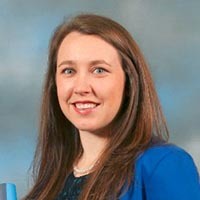 "By contributing to investing my time in new CAs and my colleagues I am creating a better working world which I believe impacts society by creating a more responsible and socially aware group of future leaders, who will one day have a much greater sphere of influence and will hopefully use that for positive change". 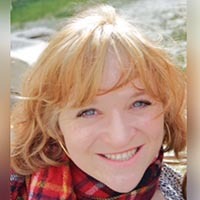 Winner of ICAS Sustainability Essay competition 2014, Jenny now sits on the ICAS Sustainability Committee and is actively involved in promoting sustainability while retaining her links with ICAS. Although Jenny's job as a consultant at Deloitte keeps her very busy, she is also involved in a number of activities and causes. 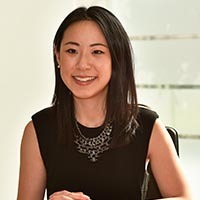 Within her firm Jenny is involved in supporting Diversity and Inclusion as well as building Deloitte's credentials within the Social Impact and Community Investment space. Outside of work, Jenny is an advisor to Enactus, a student social enterprise team. "I support a number of social impact and community investment causes both within and out-with the firm. It can be challenging juggling that alongside my day to day job but I think if you really care for the people or the cause, you'll find the time!". At just 25 Matt has studied for both his CA and CTA and has been awarded exam prizes from both ICAS and the CIOT. 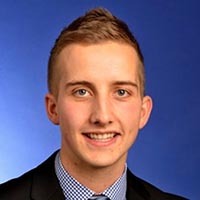 Matt's role as a Manager in a large and vibrant international tax team provides him the opportunity to coach and develop new graduates in their technical skills and lead them through the initial stages of their career. 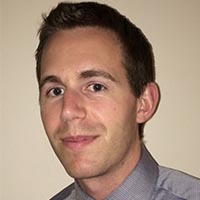 Matt is a counsellor to new associates as well as a learning and development leader for CA students during their studies. 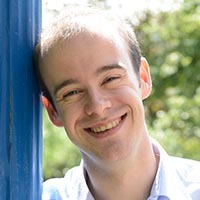 Outside of work, Matt runs a tutoring agency, London Graduate Tutors, and teaches Maths for GCSE and A Level students. Matt also writes for Tax Advisor magazine and has volunteered with Tax Aid to assist those on low incomes who have tax problems. "I look to inspire the younger generation of CAs to be more involved with their profession outside of their day-to-day role and to speak up with their own voice on areas that interest them. I sit on a committee which looks to get young people more interested in tax. I'm also an active Twitter user and use my online voice for a variety of things that interest me, including the accounting world. The CA was the beginning of my career and set the foundations for what I have achieved with hopefully more achievements to come!" After qualifying as a CA, Patrick spent an additional two years with his training firm to gain post qualification experience whilst informally mentoring new CA students. 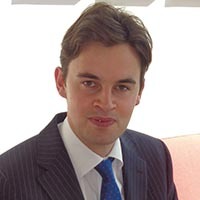 In 2013 Patrick took a position at the Department for International Development (DFID), who lead the UK's work to end extreme poverty. 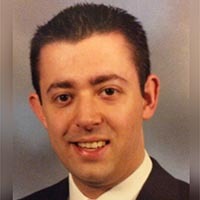 In 2014 he was promoted to Senior Management Accountant with the role of leading in-year financial management of a £10bn budget. Patrick also mentors a finance graduate through their qualification and training. 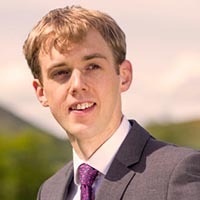 In addition to his role at DFID, Patrick independently examines two small charity accounts voluntarily, volunteers at a local secondary school to promote the profession at the schools careers fairs and volunteers for the Government Finance Profession (GFP) promoting careers in finance. Patrick stood for ICAS Council at the AGM in 2013. "Without my CA badge, I would never have been able to obtain my role which has allowed me to travel to parts of the world I never thought I'd have the opportunity to visit and contribute to leading the UK's work to end extreme poverty". Alongside her demanding client commitments in the EY Restructuring team, Viki is committed to coaching, mentoring and inspiring juniors and peers both within her team and across EY. She is passionate about the development of others and puts this at the forefront of her approach. Viki is a senior member of the award-winning EY's Women's Network, having managed a large team to deliver 20+ innovative events in FY15 - in FY16 she will join the Senior Leadership Team of the 3,000 member network. 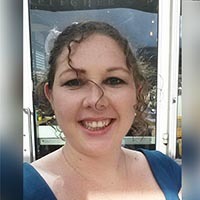 Viki was nominated as a Rising Star as part of the 2015 International Women's Day celebrations and is a Smart Futures Mentor to high performing school students from underprivileged backgrounds. "I believe that leading by example in terms of my client, business development and social responsibility commitments is key – as Gandhi quotes, I think you must be the change you wish to see in the world. Like everyone at EY, I try to work relentlessly to deliver exceptional work to clients and colleagues and I can only do this by inspiring those that work with me to strive for the same goals". Andrew demonstrates a clear understanding of the diverse world in which we live in and how the economies of various countries are interlinked. Andrew has a keen interest in Russian and Eastern Europe and has spent significant time in Russia understanding the culture, studying the language and building relationships. He has also tutored summer interns at his firm. "Coaching junior team members is an integral part of my job. By being passionate and knowledgeable about my work I am able to motivate junior team members and demonstrate that the CA qualification is a worthwhile goal to aspire to. One of the main reasons I chose to become a CA was the recognition of the qualification throughout the world. This recognition was evident when I returned to Russia on holiday and met with a number of senior staff in the PwC Moscow office. They were keen to emphasise the value of my CA qualification and that this, combined with my Russian language skills, would put me in a strong position should I wish to undertake a cycle of experience with the Russian firm in the future." Alongside Claire's client responsibilities in her role as assistant manager in the Corporate Finance team, Claire has played a vital role in developing her firm's corporate strategy. Working with the Leadership Team, she provided valuable input to the content of the management conferences over the last two years, leading the facilitation of some sessions. 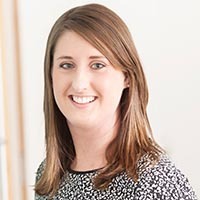 Currently Claire is following up on action points from her firm's 2015 Management Conference, including Corporate Social Responsibility and is project managing the formation of a charitable foundation. 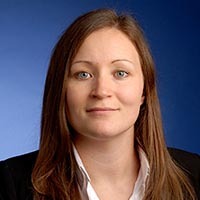 Claire is also a keen member of the firm's sports committee where she has played an instrumental role in bringing an outsourced sports engagement initiative in-house. "I enjoy trying to help others on their development path and welcome any opportunity to be able to pass on any skills or information I have built up over the past seven years of my working life. I try to encourage junior members of my team and other colleagues to get involved as much as possible with events and other activities both in and out of work as I believe it is so important to grow and develop as a person". After qualifying with EY, James now works within the internal audit department at GKN. In his role as Corporate Auditor, James has had the opportunity to travel to countries such as Brazil, Thailand, Sweden and America to improve processes and controls in place across a broad spectrum of the business. During his CA training, James trained upcoming CAs and helped developed their people skills along with their accounting knowledge. "The knowledge gained from the training and work experience as a CA has allowed me to quickly progress in my desired career path and build on the foundations of the CA qualification". After six years working in EY in London, James left his role to join Bali Health Lounge, a day spa business owned by his family. Using his knowledge and business foundation, he applied this to an industry previously unknown to him. Together with his brother, they spent three months performing due diligence and devising a business plan. Since January 2015, they have been working on this plan and at the core has been the launch of a new membership plan for the business. This membership plan is a unique scheme designed to help all people access high-quality treatments at affordable prices though a gym-like subscription. "My role as an entrepreneur utilises more applications of the CA qualification than the work I did in practice. As the spa and beauty industry is not one you would normally expect to find CAs, the fact that I'm working in this industry should hopefully inspire others to move into different industries. I think this proves how universally applicable the CA qualification really is". Having previously led audit teams on a wide variety of assignments, Jilly has now made the move from transition to corporate finance advisory services. Jilly's high level of attention to detail, her ability to stay calm under pressure and her warm and approachable manner, help mark Jilly out as a natural leader. "I enjoy speaking to people about what I do and the 'journey' I have embarked on to get to my current role, hopefully inspiring them to think it is a possible and exciting route to go down. Whilst the CA journey is definitely a rollercoaster, I do not have one single regret". "Training as a CA means I can think strategically, which is key for advising ministers. It means I act ethically in my work, which is imperative as a civil servant. As a CA there is no limit to where you can go. I never thought I'd be writing sections of the Chancellor's budget day speech – but here I am!". Paul has been heavily involved in Grant Thornton's extensive Scenario Planning exercise to support the firm's new strategy. This involved being tasked with interviewing the CEO of Grant Thornton India and presenting the project's findings at the Partner Conference in London in 2014. Paul has recently moved from the commercial audit team to the public sector assurance team, a move which has been a big learning curve. "Being a CA is one thing, but I've gained so much more from my qualification than just crunching numbers – there's always something to talk about. Because of my CA, I've climbed 50ft silos on stock counts, learnt about how whisky is made from source to bottle, lived in Manchester for a month and even managed a stay at Gleneagles". Following varied experience in the corporate world, including in professional practice, oil exploration and transport, Scott is now CEO of a complex and diverse organisation in the third sector, demonstrating the breadth of opportunities the CA qualification can unlock. "In addition to technical skills, CA training engrains a degree of rigour and challenge that I apply to many situations both within and outside the workplace". 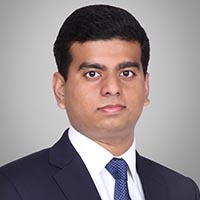 Vidit works within the corporate finance team at EY in London and has wide-ranging experience across various industry segments such as banking, insurance, wealth and asset management and renewable energy. 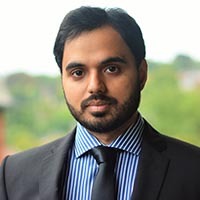 Vidit is winner of the Global Management Challenge UK and is currently pursuing Harvard Business School's HBX Credentials of Readiness program. "No matter how experienced I become or the qualifications I gain, learning and continually developing myself is the key to success in life. This is what I believe is the true motto of a CA and the real benefit of the CA qualification".